Mixed doubles curling has made its Olympic debut with a gold medal for our home and native land. 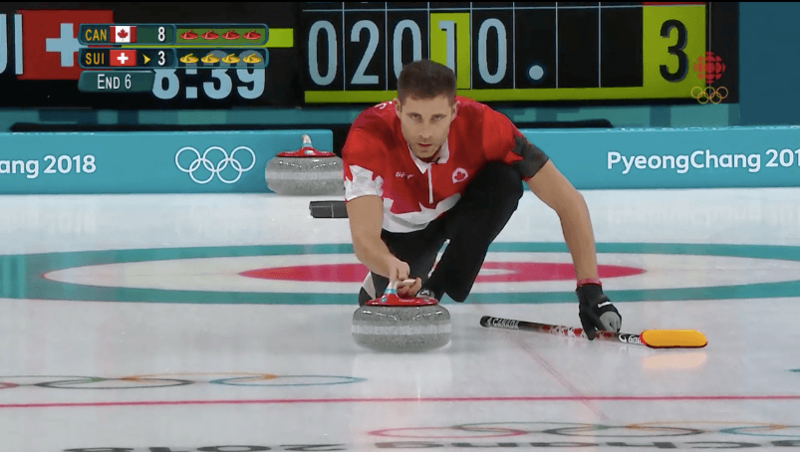 Canada’s Kaitlyn Lawes and John Morris took on Switzerland’s Jenny Perret and Martin Rios in the mixed doubles curling gold medal match this morning (it started at 6:05 am EST). It was an easy win for the Canadians, with an end score of 10-3. In addition to a high-energy match, one of the best parts was the post-win reaction, as a beaming Morris lifted Lawes up off her feet in a celebratory embrace. Lawes had extra reason to celebrate: the 29-year-old athlete just became the first Canadian curler to win back-to-back Olympic gold medals in curling. In 2014, she took home the gold medal as vice for Jennifer Jones and called the second win a “dream come true” to reporters afterward. Canada defeated Norway 8-4 in the semi-final to advance to the gold medal round. The Swiss athletes defeated Russia 7-5 in a semi-final, sending Russia on to defeat Norway in the bronze medal match. 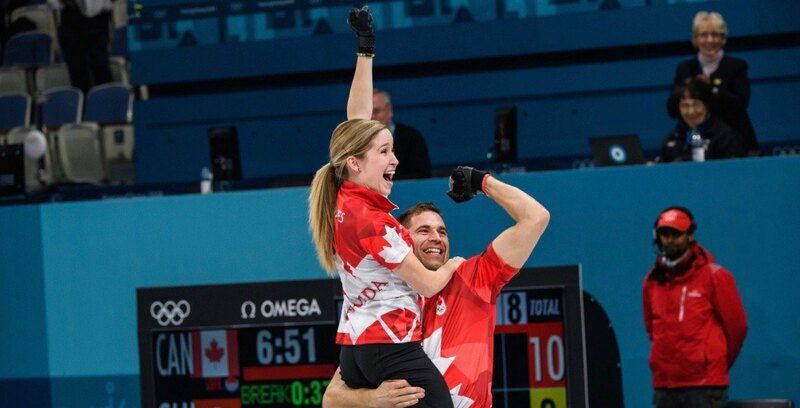 For those wondering, mixed doubles curling is essentially a quicker, more athletic version of traditional curling and involves a ton of high-reward shots (“The beers taste just as good after a game,” Morris told reporters in a post-match interview when describing mixed doubles curling). The gold medal win brings Canada’s medal count up to 10, putting them in second place for medal count.